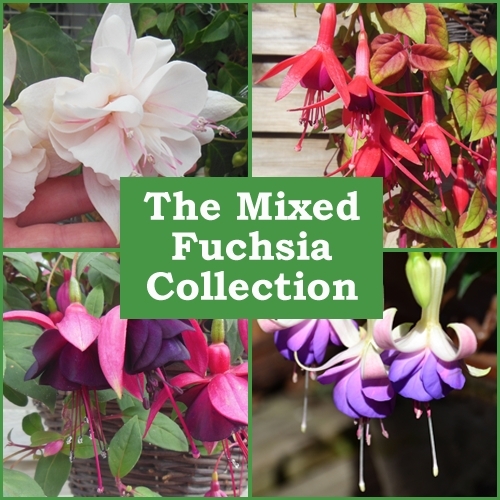 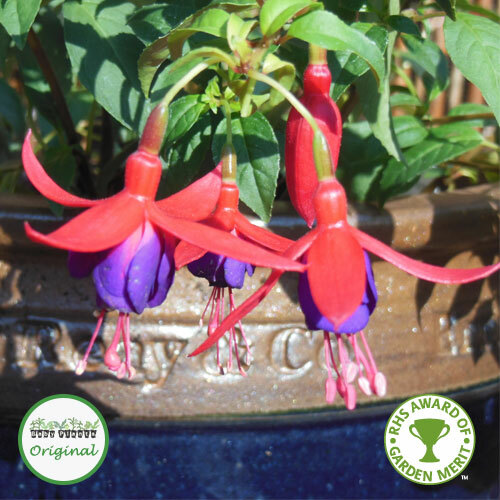 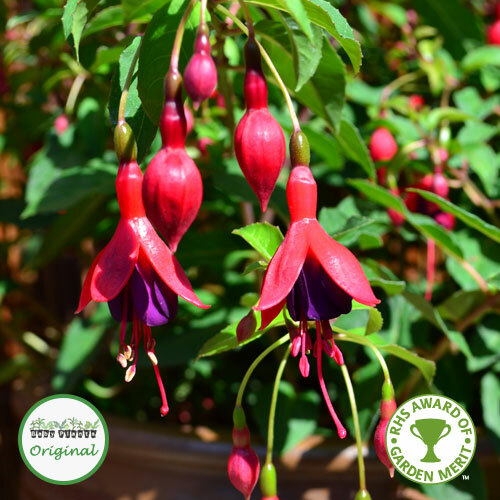 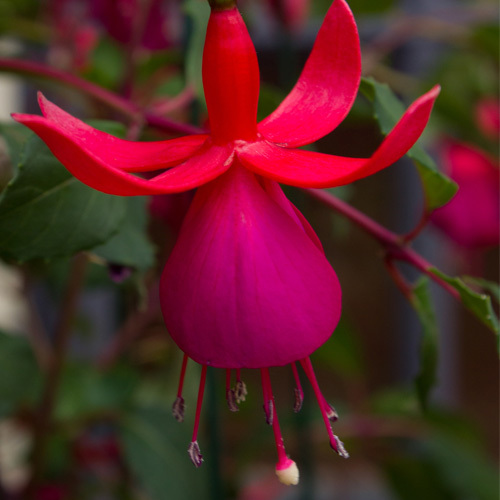 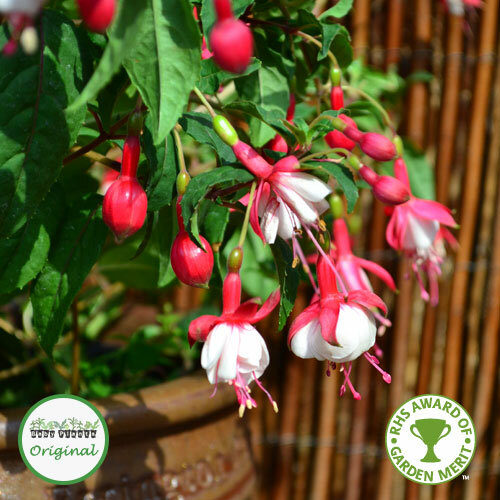 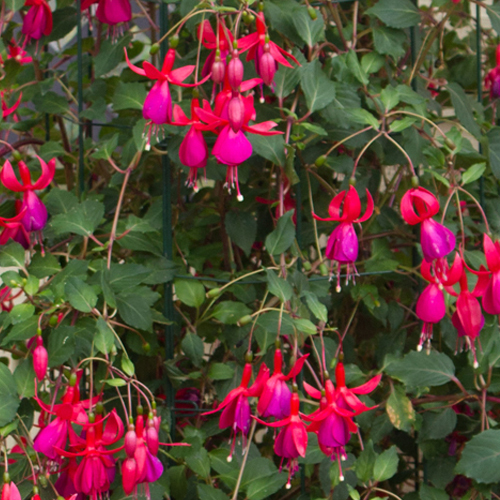 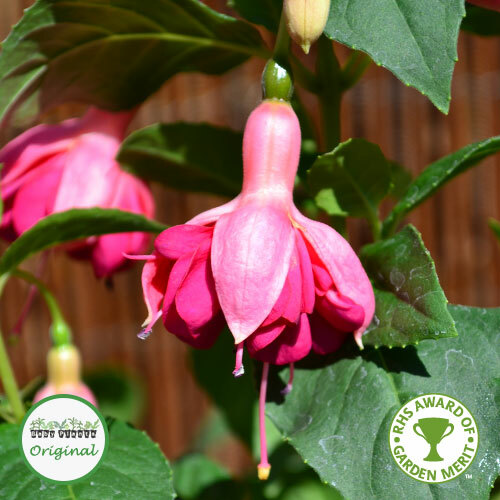 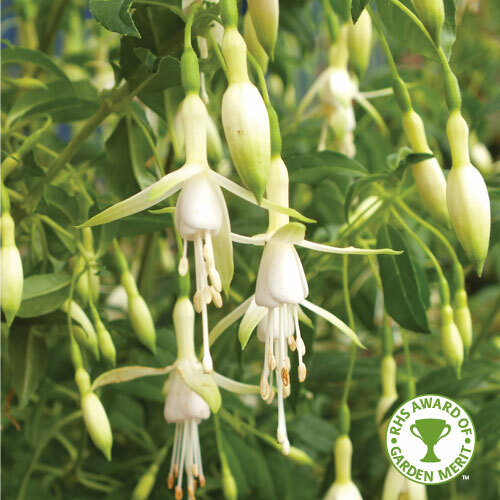 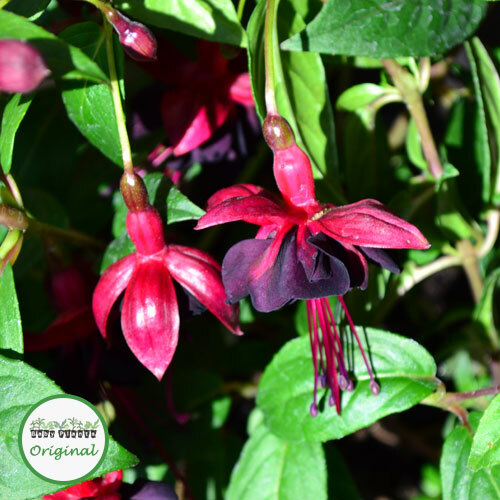 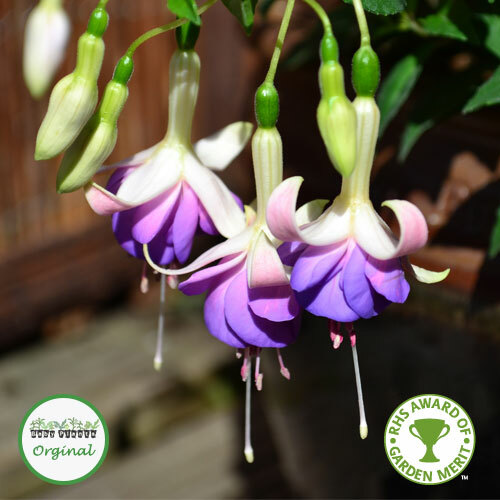 These hardy Fuchsias are bushy plants with strong stems which prevent them from trailing. 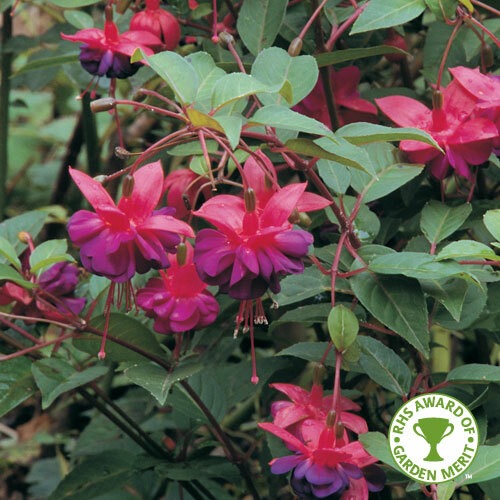 They are ideal for planting in garden beds and borders to add colour. 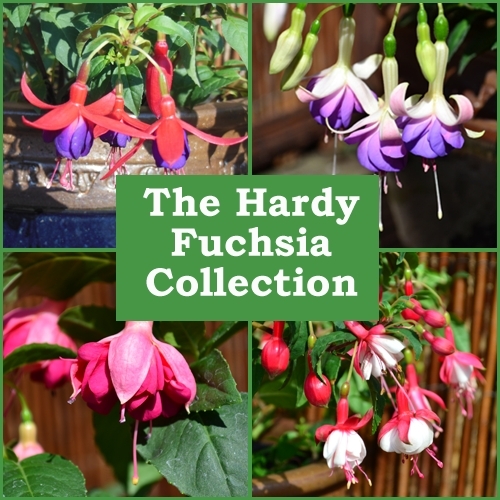 These hardy Fuchsias should survive most English winters and regrow the next spring.